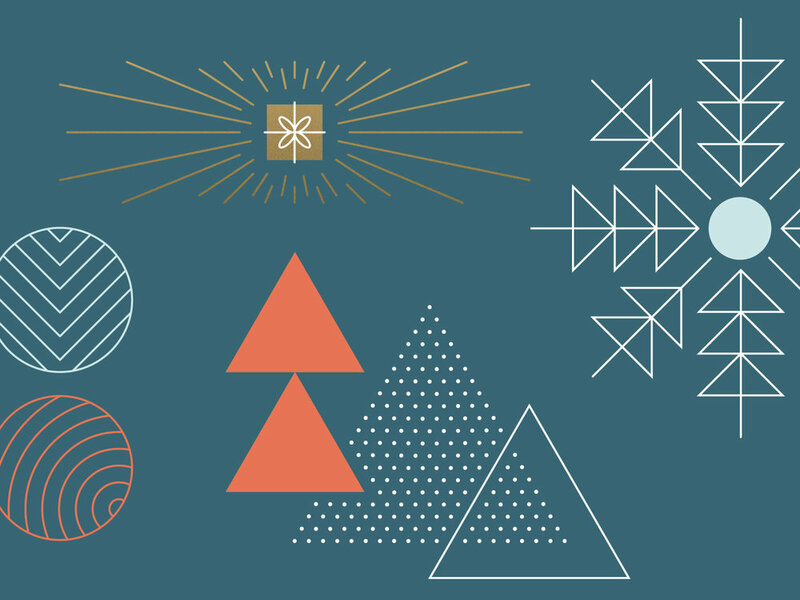 This year, in light of our 40 Years Forward campaign, we decided to pursue a modern Holiday aesthetic. Gridded typography, mono-weight linework, and a seasonal palette came together for a contemporary take on the holidays. Since Holiday spans digital and retail, following a simple grid system helped work scale across a wide range of asset sizes. Shown below is a small sampling of our digital efforts. Last season's Holiday campaign was rooted in mid-century nostalgia. Custom wrapping paper found its way onto the web and as gift wrap at retail stores.